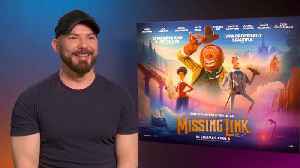 Zoe Saldana can’t wait to show her 4-year-old son her new animated adventure movie “Missing Link”, featuring Zach Galifianakis as the voice of a Sasquatch named Susan. 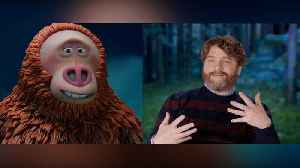 Missing Link stars Zach Galifianakis and Zoe Saldana take the WIRED Autocomplete Interview and answers the internet's most searched questions about themselves. 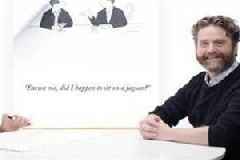 Is Zach Galifianakis a stage name? How.. Missing Link: Exclusive Interview With Chris Butler - Sir Lionel Frost sees a chance to prove himself by traveling to America's Pacific Northwest to discover the world's most legendary creature. A.. 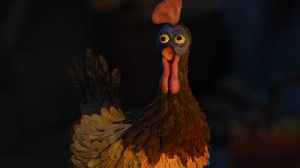 Missing Link: Do Not Mention The Chicken Clip - Sir Lionel Frost sees a chance to prove himself by traveling to America's Pacific Northwest to discover the world's most legendary creature. A living.. 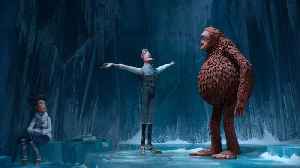 Missing Link: Throw Me Out Of The Pit Clip - Sir Lionel Frost sees a chance to prove himself by traveling to America's Pacific Northwest to discover the world's most legendary creature. A living..